Mr. Mora honorably served in the US Army from 1953 until 1955. The family invited us to stand a flag line at the funeral service and again for the interment service. Riders will stage at the Church. After the Mission Briefing, the Riders will establish the Flag Line and await the arrival of Mr. Mora’s family and friends. When the service begins, the flags will be returned to the support vehicle and the Riders will be debriefed and dismissed. 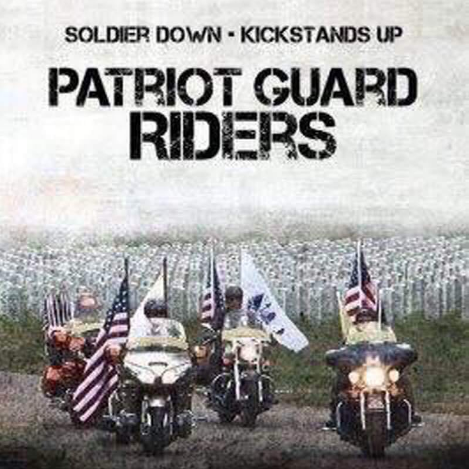 The Patriot Guard Riders will stage at the Visitor’s Center, DFW National Cemetery. After the mission briefing, honor bikes will move to the staging lane to accompany our Veteran, family and friends to the shelter. Remaining Riders will move to the shelter to establish the Flag Line. At the conclusion of the Service, Flags will be returned to the storage area and Riders will be debriefed and dismissed.